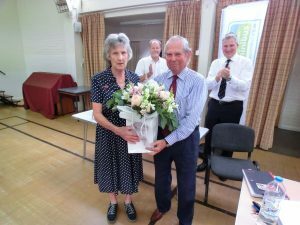 Our long time volunteer for the Steyning team, and many years as the Division organiser, Fiona Wright is stepping down in coming months. 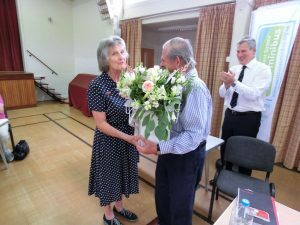 At the recent AGM she was presented with flowers by President Sir Brian Barttelot, as a token of our immense gratitude and thanks for her support over many years. We wish Fiona well in her future.